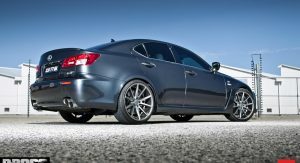 Despite the best efforts of Lexus, the IS F failed to establish itself as a serious alternative to the BMW M3 and Mercedes-AMG C63. However, the luxury manufacturer hasn’t given up all hope of shaking up the sports sedan market and is reportedly planning to build a new ‘F’ performance variant of the next-generation IS. 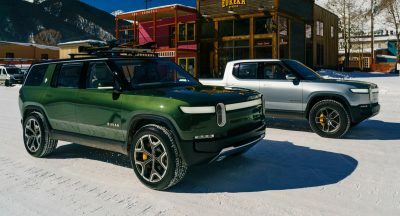 Reports from Japanese publications Spyder 7 and Response assert that the next-generation IS will be based on the modular TNGA (Toyota New Generation Architecture) platform and be slightly larger than the outgoing model. 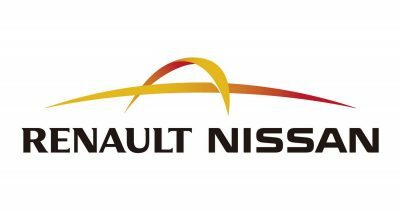 A selection of different powertrains will allegedly be available with the all-new IS, including a 2.4-liter turbocharged four-cylinder pumping out 318 hp as well as a tamer 2.5-liter four-cylinder with hybrid assistance and a combined 183 hp. 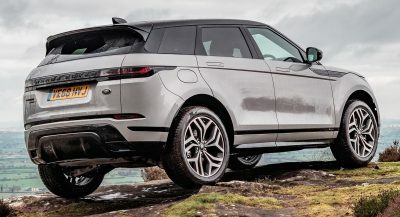 As for the range-topping IS F variant, it may ditch the Japanese car manufacturer’s naturally-aspirated 5.0-liter V8 in favor of a 3.5-liter V6 with twin turbochargers and an output of around 420 hp. Such a figure would put the vehicle at roughly the same level as the current M3, but it would still be down on power compared to rivals like the C63 AMG and Alfa Romeo Giulia Quadrifoglio. Also, instead of a dual-clutch transmission, it will feature a 10-speed automatic. 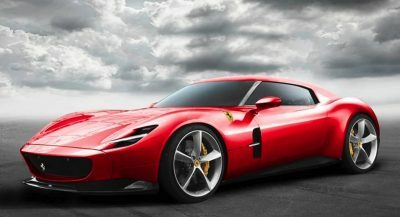 If these reports prove accurate, the new IS will premiere in the second half of 2020 and hit the market as a 2021 model, while the new IS F will land roughly 12 months later. I always liked the isf,,no suprise they are gonna ditch the 5.0 ..
TNGA? So FWD instead of RWD? No TNGA can support RWD and AWD as well. Case in point is the new Lexus LS which is RWD and is based on the GA-L architecture (which is just Lexus’ rebranded TNGA). I don’t believe that the twin turbo V6 will be less powerful than the NA V8. I expect 500-530hp. And maybe AWD because it’s becoming a trend on sport sedans. Yeah the problem I have with this rumor is that Lexus is already developing a more powerful engine for the LS-F than the regular twin turbo that already makes 415 hp. So they would essentially just be putting the regular LS engine in an IS and calling it the F version if this rumor was true. 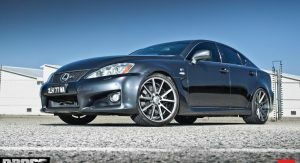 But Lexus tends to use the same F engine for their vehicles (as in the RC-F and GS-F) so I would imagine they would continue doing that. Don’t forget this is Toyota/Lexus, their stock car rarely being really powerful compare to rivals… plus they have different idea when it comes to performance car, like 86 for example. As much as I feel sad for that NA V8. Isn’t it the time now that Lexus should start electrify all their cars. I mean hey, I kinda expect all car makers to do so soon at least to start seeing them in the market by 2022. I THOUGHT THEY DROPPED THE IS. F is always an enigma in high performance car market, it has analog ingredients like high revving N/A engine. But sadly they never get that analog dynamics. But I still think it’s a rather unique choice, but if it’s true then the new F would be like other fast saloon. 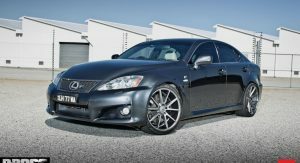 It’s a glorified toyota, why the hell would you want to waste your time , energy and money with a twin turbo lexus. what a waste of resources! A bit like everyone following Lexus for choosing Hybrid instead of Diesels? Lexus does innovate, just not on the sports car market as it has become a niche market these days. they pretty much make these cars just to satisfy the fans. I am also pretty sure they had to ditch the V8 to satisfy the change in regulations worldwide as they would most likely sell this around the globe. Lexus doesn’t want to win races, they want to win in Business.